Enjoy this travel chess game. Folds up easily and stores in a velvet drawstring pouch. 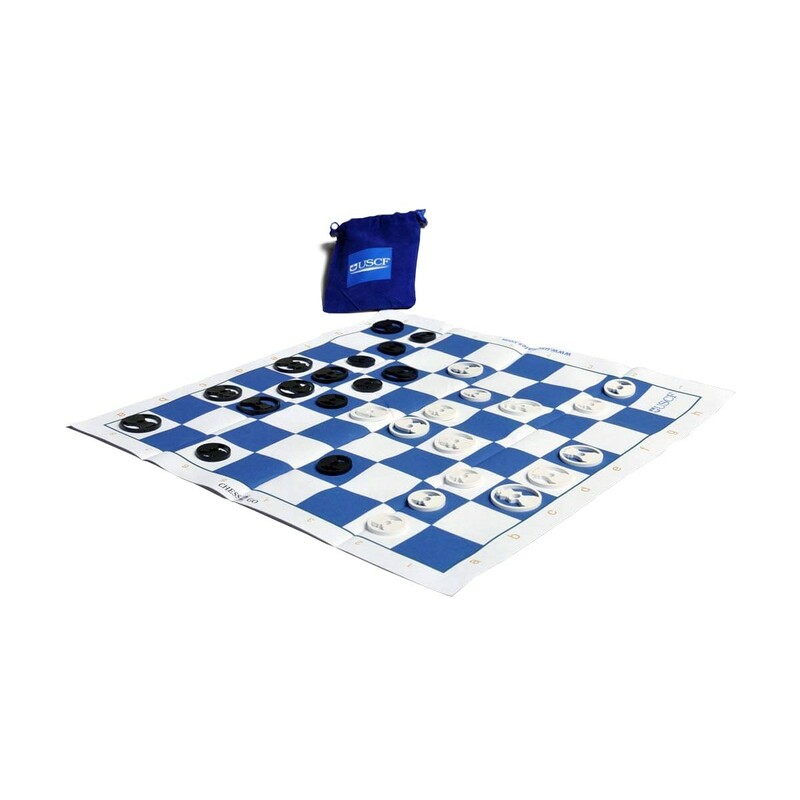 The flat plastic Chess pieces are held secure but a metal pin, ensuring they won't get lost during travel. Great for both the beginner and expert! Conveniently sized-the entire set can fit in your pocket when not in use! Flat plastic pieces are held together by a metal pin when not in play. Chess board has rank and file numbers. Great for the beginner and expert A fun set to use when teaching kids the game! Makes a Great Gift! 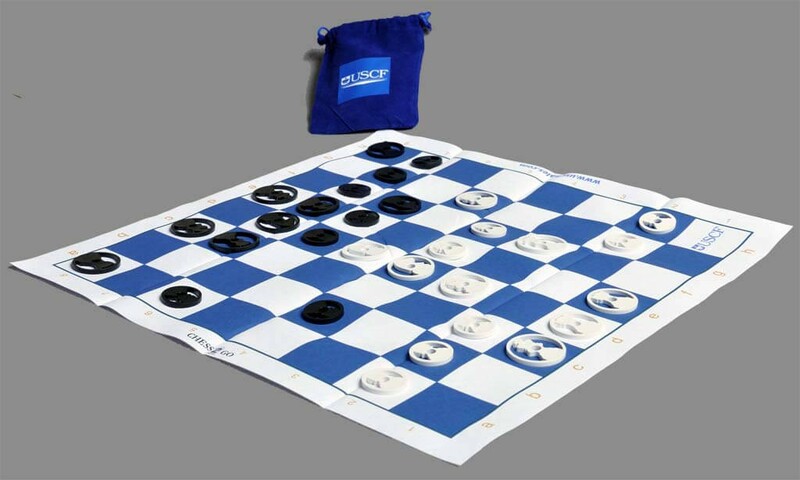 Chessboard has 1.5" Squares with an overall footprint of 15 inches. King piece measures 1.25" in diameter.